Having fallen in love with Valencia on a previous visit, I already knew the culinary scene would be the highlight of any return trip to Spain’s third largest city. So when I was given a brief to head back to Valencia specifically to sample a selection of the Mediterranean port city’s foodie offerings, I had high expectations – and I’m happy to report they were more than met; in fact they were exceeded. I spent three days touring the best restaurants and cafes (a tough job, but somebody’s got to do it, right?) and generally getting under the skin of Valencian cuisine. I discovered a lot of great eats – and found that almost everywhere in Valencia is accessible on foot, which comes in handy when you need to walk up an appetite for your next meal – which is all the time. If you want to soak up Valencia’s coolest cafe culture and avoid the tourists then heading to the creative hub for the city’s thriving artistic community is highly recommended. While there are two branches of Dulce de Leche (the second on Calle Jesus, not too far away) the undoubted mothership for the city’s young arty types is the Ruzafa neighborhood just south of Estación del Norte, where having your coffee with soya milk, and your cake gluten-free is the norm. 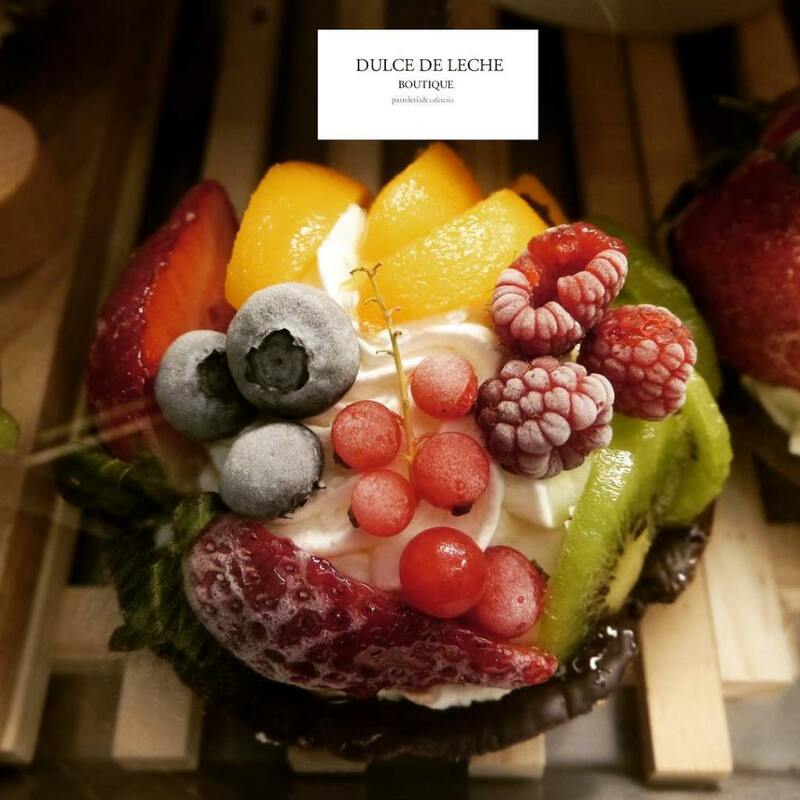 The selection of cakes and desserts at Dulce de Leche is eye-popping and mouthwatering in equal measure – the only trouble is narrowing down your selection and securing a spot: this place is popular, which makes the people watching outstanding. Order up: The sweets are ridiculously plump and homemade, but we regret not getting their giant raspberry muffin. Catavino Tip: If you can’t find a table, are on a diet or didn’t bring any reading material pop round the corner to Ubik Cafe instead – it doubles as a bookshop and has a less tempting selection of cakes but a more highbrow air. Down a flower-filled alleyway teaming with street art in Ciudad Vieja is a bright, contemporary and relaxed restaurant offering a tempting Menu del Día. Comprised of hearty-yet-healthy local dishes, La Lola‘s lunch is served with an innovative twist and presented like works of art. All for €15. 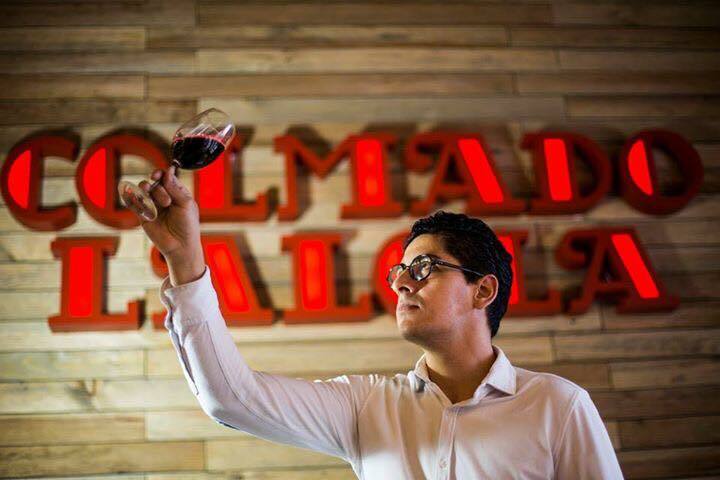 Owner Jesús is the gregarious and fittingly bohemian owner, who, despite having cultivated the ambience of a Miro painting come to life, has also injected some palpable Gallic sensibility into the setting. The lively ambience makes the place popular with French and Belgian patrons, and there’s certainly a mixture of European accents in evidence on my visit. 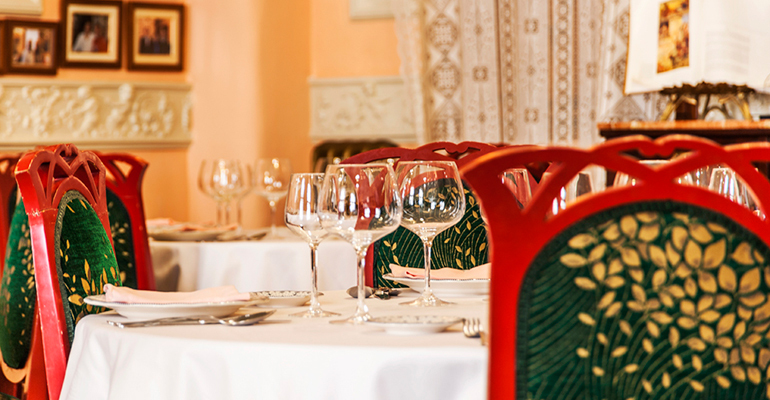 But if you’re seeking classic Spanish cuisine look no further than their three types of traditional paella made with Albufera rice and saffron (part of the lunchtime set menu), smother everything in their delicious Lagrima olive oil or come back after dark for the once-a-week flamenco. Order up: ‘The Surprises’ are flaky cheese parcels ,which have been on the menu since the restaurant opened. They’re sinful! Catavino Tip: You don’t have to suffer from food allergies to eat at La Lola, but those who do will be in very safe hands. It is all about fresh, light food – nothing is fried and if you need gluten free, dairy free or any other speciality preparation, they’re more than equipped and happy to oblige. The best paella may not be what you’re expecting from a cul-de-sac street bisected by train tracks in the Estación del Norte neighborhood, but behind the unassuming doors of El Canyar, the entire Spanish A-List dine! Under the watchful eye of owner Miguel Segue, the finest traditions are upheld by Chef Isobel, who has been at the helm for 28 years. Traditional isn’t just a buzzword, it’s a way of life. The menu is teaming with seafood dishes which include highlights like prawns blended into a fresh gazpacho and a delicate hake from the north of Spain. And of course there’s the requisite thin pan of caramel colored paella. As much as the food pulls your gaze down toward the table, the restaurant walls hold their own in drawing your head back up: world famous singers actors and other famous faces have been encouraged to doodle on their napkins so everyone from Micheal Schumacher, to Yoko Ono and Daniel Craig have their signatures on display. The private dining rooms help make up a maze of nooks and crannies in the beautiful old building – including an impressive wine cellar holding up to 8,000 vintages at any one time. Order up: When in the birthplace of paella, it would be a sin not to start with the restaurant’s celebrated rice dish, which Miguel recommends with duck, rabbit or chicken. Seafood fans shouldn’t miss the decadent Denia prawns – fished from a depth of 800 meters, they sell for over €100 per kilo. Catavino Tip: El Canyar is open for lunch and dinner everyday but Sunday. I’d heard that Casa Montaña was special, but so did quite a few other tourists. Then again, after 180 years selling tapas at this very spot – originally to fishermen, it’s no surprise that word has gotten around. But neither the authenticity of the surroundings, nor the standard of the food, has been compromised. Perhaps because every vestige of Casa Montaña’s lengthy history not only survived, but to continues to be celebrated, and the family atmosphere is much in evidence. The original tiled wine cellar (holding 500 vintages) remains and wine is still sold by the liter for take away while all the original rusty taps double as wall decorations to retain visceral links with the past. 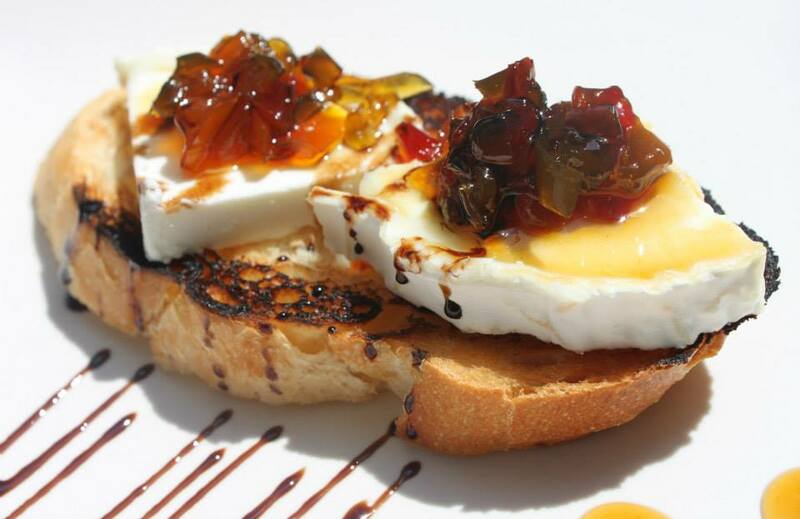 You’ll find very simple and unfussy tapas on the menu, with flavors elevated by the quality of ingredients. Tuna served with cardamom and mace is particularly delectable, as is the habas michirones – a snacky bean dish. Order up: There don’t seem to be any duds on the menu but make sure you order the ham, every time. If you happen to visit in season the local mussels are picked up directly from a local lady’s house – because her catch is the best. Catavino Tip: Try some of the best wine in Spain without breaking the bank – Casa Montaña is one of the few places which will serve top wines by the glass rather than making you buy the whole bottle. 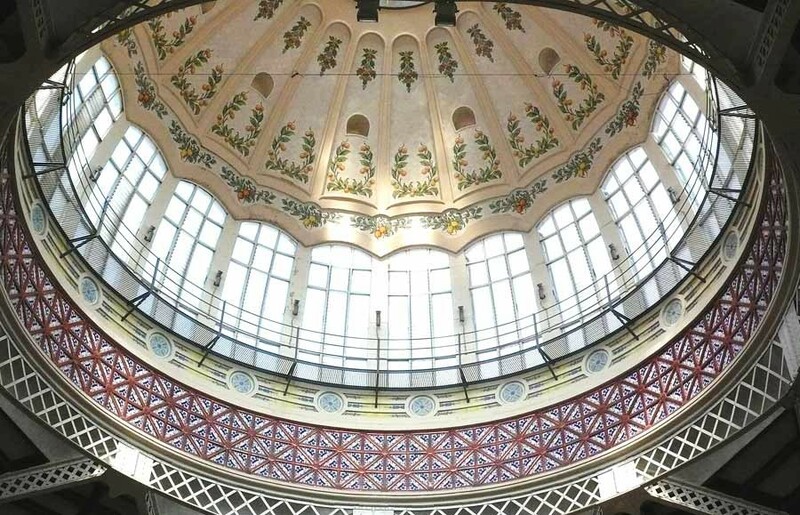 Visit Valencia’s Mercado Central – it’s physical position in the Centro Historico makes it virtually unavoidable, and once you’ve done the tiniest smattering of research, you’ll be making a beeline for it anyway. But it’s a simple fact that no food lovers’ visit to the third largest city in Spain would be complete without devoting some time for a tour and tastings in the 8,000 square meter culinary palace. For anyone renting an Airbnb, apartment or Casa Rural, this is your one stop shopping location for delectable treats. For everyone else, check out the horchata, a signature Valencian drink made by pressing tiger nuts with copious amounts of sugar and served, as if not yet sweet enough, with long thin sugary donuts called fartons. Catavino Tip: Of all the stalls selling jamón ibérico we liked Supergourmet best – they’re generous with samples meaning you can decide which you like before buying. If Valencia’s restaurants are a veritable feast, the produce on offer at this exceptionally pretty gourmet food shop set in an historic pharmacy is a joy for all the senses. From Valencian orange-scented soaps to artisan jams, handcrafted beers made with blossom and honey and wines aged in clay pots, no foodie could hope to leave empty handed in Original CV. I depart with some Agua de Valencia – the city’s famed and fortified alcoholic tipple – but depending on your preferences (and your luggage allowance) you could easily go home with bottles, jars and packages to last until your next visit to Valencia. The main branch, said to be the city’s oldest building, is conveniently located opposite the Mercado Central while the second store is in the Estación Joaquín Sorolla train station. Catavino Tip: If you’re looking for a food souvenir for a friend with impeccable taste, the sumptuously decorated cloth bags of Arroz Albufera are hard to beat. These six spots will always stick in my mind as major culinary highlights from Valencia’s hyper-local food scene – but of course, a huge part of the fun of any city break is finding your own favorite places and discovering the stories behind them. That said, if you need a trust guide to lead you to tasty gems, or a customized tour through Valencia, let us know! We’re happy to lend a hand! One of the best things about my time in the restaurants and cafes on this stretch of the Iberian Peninsula was the friendliness and openness of the owners, and their willingness to share the secrets behind their cooking, and the often fascinating history behind the food on your plate – so if you’re headed to Valencia this list might make a great starting point, but where else your taste buds will be taken is the real adventure. Jaillan Yehia is the founder and editor of Savoir There a discerning arts and food-focused travel blog, and the travel editor of UK lifestyle magazine EKL.